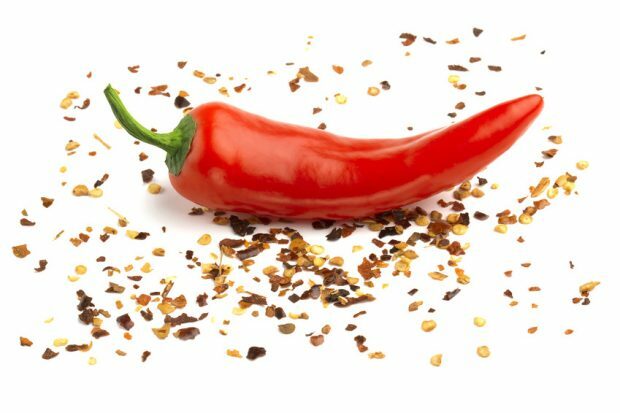 Foodies | South Africa | How Hot Is Too Hot When It Comes To Chillies? Some people are very sensitive to heat and even the slightest hint of chilli causes them extreme discomfort. Others seem able to handle even the hottest of chillies with ease. With our family all growing up in Durban before we moved to Cape Town, we’ve always loved a bit of a bite in our food. So I decided to plant a range of chillies to test for ourselves just how hot the different varieties are for us. In our search for different types of chillies, we were able to find serrano, habanero, jalapeno, cayenne and bird’s eye chillies quite easily, but we couldn’t find a producer or supplier of scotch bonnets. We really wanted to try this specific chilli as part of a Jamaican jerk chicken recipe, which calls for the distinctive fruity and fiery flavour that scotch bonnet chillies add to the dish. After searching in vain for a couple of weeks, we eventually concluded that if we couldn’t find someone who could sell us the scotch bonnets, we’d grow the things ourselves. All we needed were seeds – and that would be easy, right? We rushed over to our local garden centre and browsed through the ranges offered by the big name seed providers. Tons of chillies, zero scotch bonnets. The more nurseries we tried, the more the same pattern continued. We eventually solved the case by finding an online seed provider who was only too happy to send us the seeds we were looking for (sold in batches of five) and two weeks later we’re the proud owners of genuine scotch bonnet seeds – all thirty of them. As mother nature would have it, it’s spring in South Africa and the perfect time to plant them, though it’ll take about six months before we see (and taste) the fruits of our labours. We can’t wait to begin experimenting with the heat and flavour of these chillies. And what a great heat it is. The scotch bonnet’s scorching talents have made this little chilli a force to be reckoned with, scoring between 100,000 and 350,000 on the Scoville Scale. Developed by William Scoville in 1912, the Scoville Scale provides a measurement of how hot a chilli pepper is. It was put together by using a panel of human tasters who would taste a sample of a chilli pepper that was diluted in a sugar solution, and then report what level of dilution was required so that the pepper no longer tasted hot. 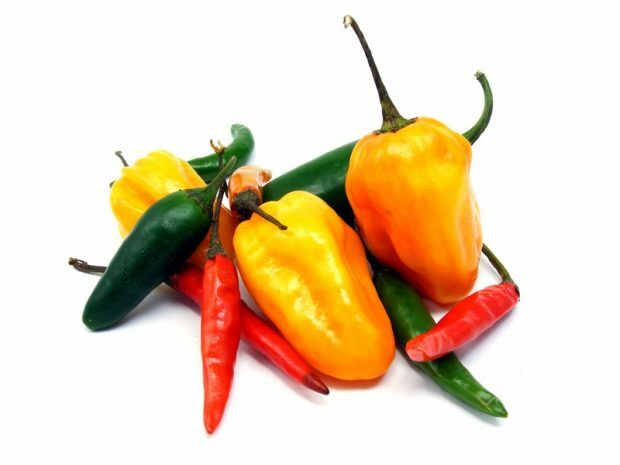 This has ultimately not proven to be a very reliable system and has since been replaced by a method called High-performance Liquid Chromatography, which reads the chemical fingerprint of capsaicin (the active component in chillies that causes an irritant or burning sensation) in a pepper and measures exactly how much capsaicin it contains. So now you know the numbers as to how hot you can go, but how easy are chillies to grow? Very easy indeed, and so versatile too – they’ll grow in pots or containers on a balcony or in the garden. Chillies love the sun and heat (surprise, surprise) and well-drained soil, and hate being over watered or over fertilised. This means they need to be protected from frost, if that applies to your garden. Over fertilising will yield abundant and beautifully green foliage, but few or no chillies. Over watering will lead to rotting of the flower buds, so rather give them less water more regularly so that you’re in the sweet spot between flooding them and drying them out. Ready to add a bit of sizzle to your cooking? Choose your heat and start planting! I am looking for the “hottest Cayenne Pepper” in powder form, available in South Africa. I have only been able to fine the ‘bog standard” powder as sold in supermarkets and herbal stores. Can anyone direct me to a supplier of 50,000+ Scoville scale type??? In South Africa, without having to grow them myself? A friend of mine farms with them. Where do you stay? By them I mean the reapers and both trinidad varieties. Please send me your contact details if you still stock the super-hots. I am also interested in buying the actual pepper too. We are located in Centurion. How far away is Vaal from there? I want to buy 1000 chilli seedlings in the western Cape. Looking for different varieties. Try livingseeds.co.za for lots of chilli varieties, including Bhut Jolokia and Trinidad Moruga Scorpion. Hi, may I ask where you found (red) serrano peppers in Cape Town? And have you every come across red jalapeno peppers here? Could you please provide a number or address as I would like to buy at least 10 kg of the hot stuff on a regular basis. Thank you. Hi there. Im from Cape Town . I have chilli trees for sale. If anyone interested you may contact me via email thanks. Hi Ruwayda – Please give me more information on your chili seedlings! Hi! I have planted 50ha of cayenne peppers. If anyone knows of a good market, please comment. Contact your local Agriculture Department for further clarity as they may be allowed under certain conditions? ?